The vote had barely been taken before the self congratulations started. “The European Union makes shopping without borders a reality,” claimed one press release. “The European Parliament today voted to get rid of one of the major obstacles to the Single Market: unjustified geoblocking when buying online,” said another, after the European Parliament voted by 557 votes to 89, with 33 abstentions, in favor of a new anti-geoblocking regulation. But while buyers will be able to shop online for physical goods in the EU without being blocked or automatically re-routed, there’s just one small problem: the new rules don’t cover ANY copyrighted content such as ebooks, downloadable music, online games, and films, online tv, streamed sports events — you know, the sort of thing you might really want to buy crossborder. Presented as part of the Digital Single Market, the regulation to end unjustified geoblocking was first proposed in the ecommerce package, together with legislation on cross-border parcel delivery services, to be voted on in March 2018, and a law to strengthen enforcement of consumers’ rights, which was already approved by parliament in November 2017. The new rules do advance some consumer rights. For example, traders will have to treat cross-border shoppers in exactly the same way as local ones, granting them access to the same prices. And, admittedly, it isn’t limited to physical goods — services such as hotel bookings, car rentals, music festivals, or leisure park tickets, as well as non-copyrighted cloud services will also be covered. According to the European Commission, a recent survey found that 63 percent of websites assessed did not let shoppers buy from another EU country, so the new law is addressing a real problem. Shoppers are regularly frustrated when, having completed all the steps of buying a product online, they get to the payments section to find that the retailer will not accept credit or debit card from their country. This will become a thing of the past under the new regulation. “While traders remain free to accept whatever payment means they want, they may not discriminate within a specific payment brand based on nationality,” explained the Commission. The practice of automatically re-routing users to a national website will also be outlawed. But even with all that, the new regulation falls far short of being a resounding win said shadow rapporteur MEP Julia Reda. “It is frustrating that EU member states refused to allow them to be included in this regulation. This not only turns a blind eye to the daily experience of online consumers, especially those minority language speakers who find themselves on the wrong side of a national border, it also ignores the position of the European Parliament agreed last year,” she added. 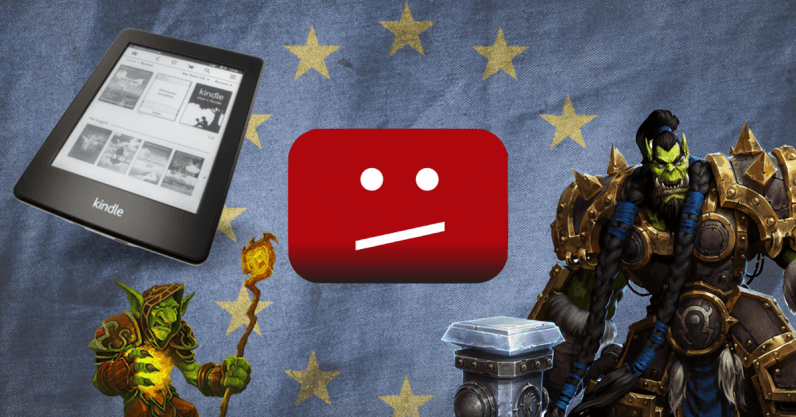 Despite welcoming the new law as a step in right direction, consumer rights organization BEUC also said it was regrettable copyright-protected products and audiovisual content had been excluded. Yes, we made it! Strong support today #EPlenary for new rules for shopping without borders, ending unjustified #geoblocking. Now @EUCouncil needs to hurry up to have everything ready for Christmas. Whether or not the law will be widened in two years time of course depends on the political temperature at the time. “SMEs are concerned that [the geoblocking regulation] leaves many open questions and does not guarantee legal certainty to traders,” said the organization. “UEAPME has been very critical about this regulation since its first publication. The text imposes a de facto obligation to sell, contrary to what the European Commission and Parliament state. It is still not clear which obligations the traders will have towards consumers residing in member states where the enterprise is not active, especially when dealing with after-sales provisions. There are many questions left unanswered,” said UEAPME Secretary General Véronique Willems. “SMEs active at local or regional level are more likely to refrain from going online or exploit ecommerce. Ultimately, this might result in less choice for consumers,” she added. However the regulation does address some business operator concerns: Traders are not obliged to offer delivery to all EU countries, but buyers should have the option to pick up the package in a place agreed with the trader. The text approved by the Parliament on February 6 must still be formally approved by the European Council. But as the Parliament, Council and Commission reached a political agreement back in November, this is merely a rubber-stambing exercise. The law will enter into force nine months after the day of publication in the Official Journal, which is planned for March 2018, meaning that EU citizens will be able to buy their 2018 Christmas presents from anywhere in the EU… just so long as little Timmy doesn’t want ebooks, online games, or downloadable music!